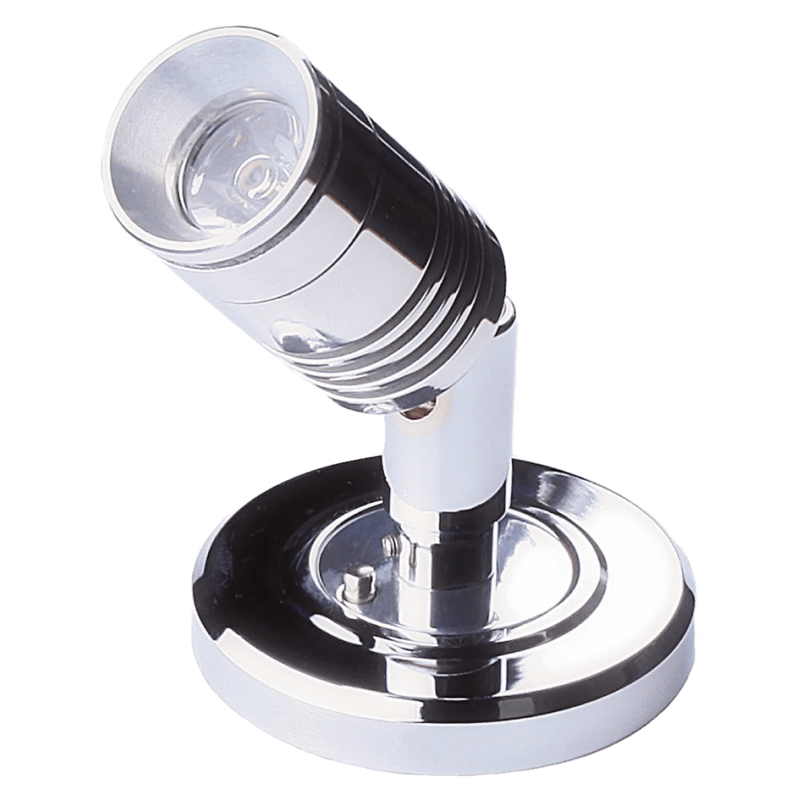 IP54, reading light for interior use. Knuckle is a chrome plated brass and steel assembly. Inbuilt 12-24V DC drivers available. If you require bespoke bezels or any alterations to existing designs, please contact us. Cable length is 120mm as standard, please enquire for custom lengths. Fixing method: Surface mounted fixing ring fixed with three M3 counter sunk screws on a 43mm PCD. The light is then held to the ring with two grub screws. Please note this product requires an LED driver. Driver not included, but are available to order. Custom finishes available upon request.